Mark Rusch began his 12 year tenure with the Collin County District Attorney’s office in the summer of 1984, rising to the level of chief felony prosecutor. In 1989 he became Board Certified in Criminal Law by the Texas Board of Legal Specialization. During his time as a prosecutor, he tried cases ranging from traffic violations to capital murder. Judge Rusch ran for judge of the newly created County Court at Law #4 bench and won the election in 1996. He presided over misdemeanor criminal cases, civil and mental health matters. He was appointed by then Governor George W. Bush to the newly created 401st District Court and took that office on September 1, 2000. He has presided over the court since that time. James Mosser has practiced law in private practice for 18 years. During that time he has handled complex civil litigation, family law, and criminal defense. Mr. Mosser is a self described ” Navy brat” and attended more than 17 different schools before graduating from high school. He began college in Japan, before transferring to the University of Texas in Austin. At UT he participated in Navy ROTC, and upon graduation he was commissioned as an Ensign in the United States Navy. James flew many combat missions in Vietnam, and he is qualified on both fixed-wing and rotary aircraft. After flying several fixed wing aircraft, and carrier qualifying, he completed helicopter transition and obtained my Wings of Gold. During his service he spent a year in Vietnam as an aviator and member of the elite Navy Seawolf Squadron (HAL-3). Flying nearly a combat mission a day that year in Light Attack Helicopters mostly supporting SEAL teams, and Riverine Patrol Boat Operations on the Cambodian-Viet Nam Border. After his honorable discharge in 1973, James embarked on a series of careers ranging from financial analyst to restaurant management to aircraft sales and leasing. All leading up to his eventual ownership of his own law firm. 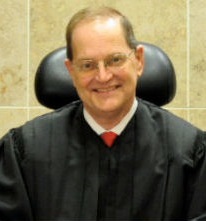 More about James Mosser can be found on his campaign website at www.mosserforjudge.com. Hunter Biederman is a DWI / Criminal Defense Attorney in Collin County. 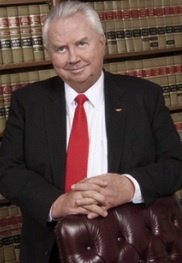 He publishes his blog (www.friscodwilawyer.com) which focuses on the Collin County and Texas legal system. He can be reached at friscolaw@gmail.com or (469) 333-3333.